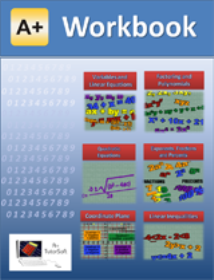 Each grade level workbook (eBook) includes a worksheet for each lesson, an exam for each chapter and answer keys. The workbooks provide an added convenience for parents and students where students can do all their work in one convenient place. You may print the entire eBook for practice on paper. The eBook version of the Workbook is in the PDF format. Also available are the printed workbooks - Spiral or comb bound for ease of use (highly recommended).